The Fundraising Collective: Fundraising and Rights Balancing-what does it really mean? Less than six months after Adam died, his little brother Ally, supported by his family and friends, raised more than £43,000 for Bloodwise by attempting to travel round all 270 London Underground stations in 24 hours. Supporting that helped us to feel like we were doing something, when nothing else we had done helped. To date the fund that Adam’s mum and dad, established in his name is at over £50,000—funds raised by the people who loved Adam in an attempt to ensure that other young people with blood cancer get the chance to live. His cousin Freddie, born ten months after Adam died, is the youngest person to donate in his name—giving the stem cells from his umbilical cord to the Anthony Nolan Trust. Fundraising has become a way for some of us all to make sense of what happened. To honour the life of a person very, very dear to us. 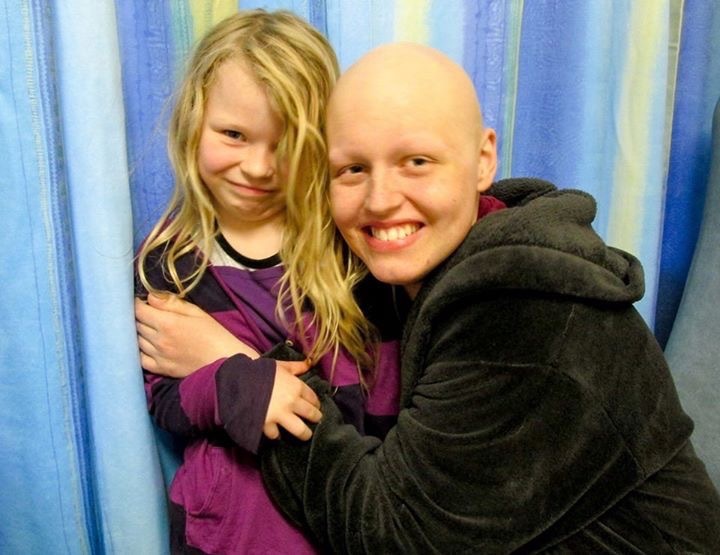 It’s created a legacy in the lives of people who will one day be diagnosed with a blood cancer and who might get the chance to live because of research funded by the funds Adam’s family and friends have raised. As a professional fundraiser, I’m acutely aware of the scrutiny charities have been under for their fundraising activities. I have seen fundraising described as “pestering” (Evan Davies, Radio 4’s The Bottom Line, 9 February) and “exploiting” (ICO statement, 06 December 2016) donors, with the task of addressing fundraising regulation likened to cleaning out the Augean Stables. 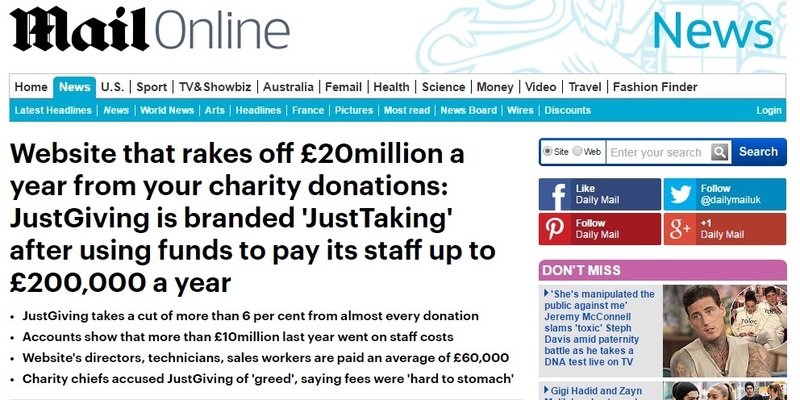 Most recently, the online giving platform, justgiving, came under fire for the percentage fee they charge on donations and spending more than £10million per year on staff costs. The last two years have strengthened regulation and clarified guidelines around data protection, but the language about charity and asking for donations has been hugely damaging. Words like exploitation and pestering are loaded with negative connotations. They suggest a deep-seated attitude towards charities and asking for donations which can be summarised as: volunteer=good, professional =bad. And that’s an attitude which fails to recognise how much we rely on charities. 2) people who really need charities can rely on them being there, because there are people whose job it is to make sure their charities can meet those needs. 9 out 10 families in Britain have used a charity’s services at some point. That becomes so much more acute when dealing with serious illness and the hardships which come with it. The weekend after Adam died, his mum Caroline put together a list of the charities which had helped Adam and her family over the years of his illness. She wanted to give back to the charities, which had given them help and support through an incredibly difficult time. She narrowed the list down to nine. Nine. Each one of those charities provided something different, something needed—from a social worker through to a specialist facility unit which made cancer treatment a little bit more bearable for a teenage boy. I remember the period when Adam was in an adult unit because the room provided by the Teenage Cancer Trust was needed by a patient who was even sicker than him. It was awful. He was so low. It made me realise just how important the Teenage Cancer Trust is to young people who are already enduring far more than they should have to endure. It gives them a chance to reclaim some normality. To be a teenager again. 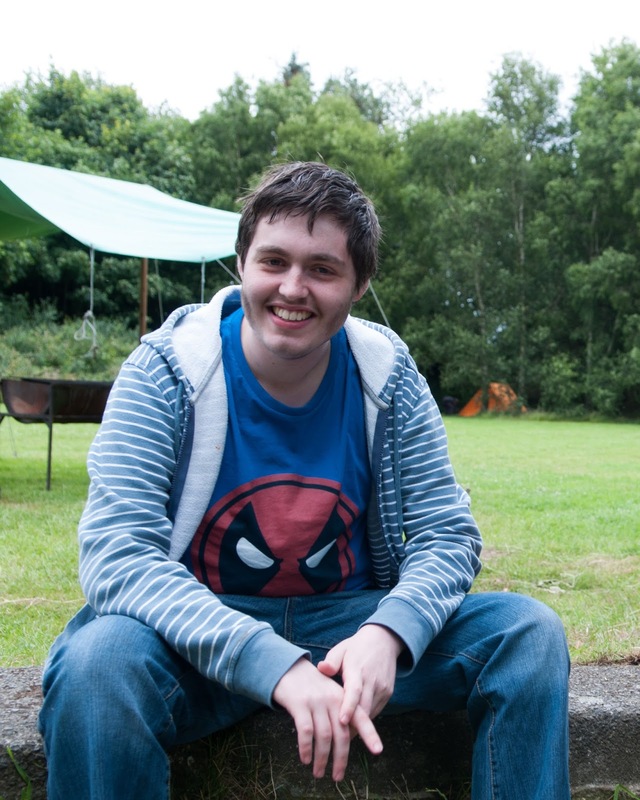 And when Adam needed a stem cell donor, I suddenly realised how important the work of the Anthony Nolan Trust was. Why had I never registered as a stem cell donor? Why hadn’t everyone? Why did I not know it was a thing? If they spent millions and millions on advertising their stem cell register it wouldn’t have seemed enough to me right then. I want them to spend what is needed to get the job done. Adam has a big family and we all of us want to do our bit. But we all have day jobs. We are nurses and teachers and project managers and administrators and parents and lawyers and IT people (or whatever that job is anyway). Some of us are even fundraisers. We want to make a difference in Adam’s name, but we have to fit it in in our evenings and weekends. It’s not our main job. It’s not our main focus. Thank goodness there are people for whom it is. The fundraising team at Bloodwise have supported Adam’s brother Ally and his mum and dad in all their fundraising efforts. They’ve celebrated and amplified his efforts, helped him to reach further and have more impact. 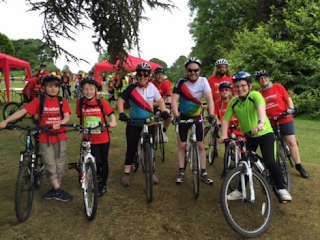 They have created fundraising events – like the Wirral bikeathon – which help volunteer fundraisers to have a focus, make it easy for them to raise money and to find other people who are fundraising for the same cause. The people at justgiving have spent thousands and thousands on creating an incredible fundraising platform which has enabled millions and millions to be raised for vital causes. Richard recently shared that Bloodwise had been able to give a grant of £460,000 to researchers at Sussex University who are researching Burkitt’s Lymphoma, the disease that killed Adam. I nearly burst with pride to read that. I’m grateful to the people at Bloodwise who go into work every day to shout about the need for research into blood cancer. I’m grateful to the people who write cash appeals and send them out to explain why this work is important. I’m grateful to the people who work out how to support volunteer fundraisers and provide opportunities for them to participate. I’m grateful because people can’t and don’t give to something they don’t know exists. And lots more people need to know that these charities—and many other charities—exist. People need to know that charities need their support and that the services we all rely on, at different times in our lives, exist because we donors ensure that they exist. I won’t know the lady next door has run out of sugar unless she knocks on my door and asks to borrow some. I won’t know how to help find a cure for Burkitt’s Lymphoma unless Bloodwise tells me what I can do to help. But I do know that all of us who rely on charities—those of us who need succor in our darkest hours; who need advice or practical support or education; who love to be in beautiful natural spaces, or to discover our own identities by exploring the past; who wouldn’t be able to attend university without a helping hand—all of us. We need people to ask on our behalf. I’m not writing this as a fundraiser. I’m writing this as someone whose family relied on fundraising to deliver the charitable services we really, really needed. Sure, people shouldn’t be pestered and they shouldn’t be exploited. But don’t criticise charities for asking for money. We all of us need them to. 11 March 2017 is the first anniversary of Adam’s death. His mum and dad are marking it by raising funds for Bloodwise. Like Adam, they want to ensure that something good comes out of his experience and his death. If you want to support their efforts you can donate and leave a message of support at their justgiving page here. Adam's school friends are marking his anniversary too. They are raising a glass of water in Adam's name, donating the cost of a pint to Bloodwise and encouraging other people to do the same. 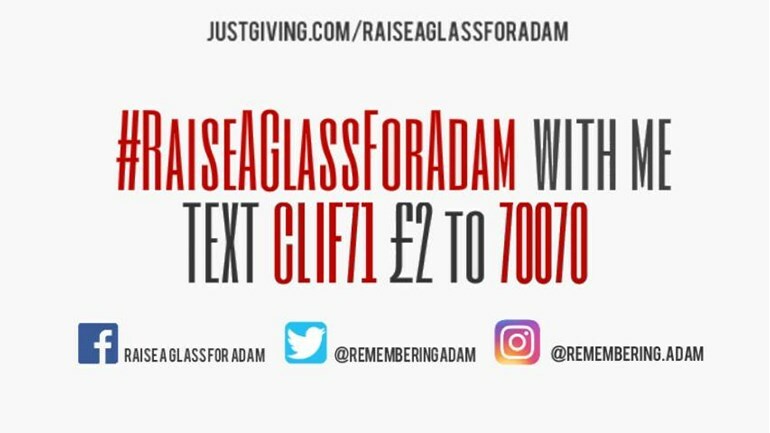 At the time of writing #raiseaglassforAdam has already raised over £800. If there's someone you have lost, why don't you think about joining them? 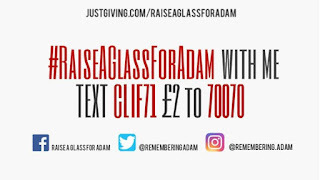 In the meantime, I want to thank all the people at all the charities who provided support to Adam and his family, in particular Bloodwise, Claire House Children’s Hospice, Clic Sargent and the Teenage Cancer Trust. You can find the full list here.